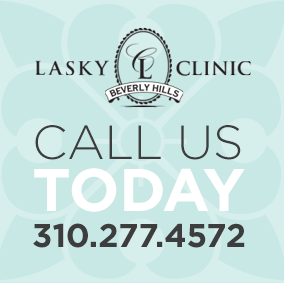 Lasky Clinic does not collect personally identifiable information regarding the users of its Internet site – including e-mail addresses – without asking the user. In some instances, he may request that users voluntarily supply information, including e-mail address, street address, telephone number or other information, to allow him to personalize and enhance a users’ site visit or to provide the opportunity for follow up after the site visit. Whether users provide information is entirely voluntary. If you voluntarily provide information, you consent to the collection and use of your personally identifiable information by Lasky Clinic However, Lasky Clinic does not sell or rent personal information collected through this site to anyone. Lasky Clinic may provide aggregate statistics about Web site visitors, such as volume, traffic patterns, referral sources and related site information to reputable third-party vendors, but these statistics will include no personally identifiable information about the users. Lasky Clinic may also disclose information in special cases when it has a good faith belief that such action is necessary to: (a) conform to legal requirements or comply with legal process; (b) protect and defend our rights or property; (c) enforce the Web site Terms and Conditions of Use; or (d) act to protect the interests of our users or others. Occasionally Lasky Clinic may be required by law enforcement or judicial authorities to provide personally identifiable information to the appropriate governmental authorities. We will disclose such information upon receipt of a court order, subpoena, or to cooperate with a law enforcement investigation. Lasky Clinic reserves the right to report to law enforcement agencies any activities that we in good faith believe to be unlawful. If you have voluntarily provided personally identifiable information, Lasky Clinic may, from time to time, send mail or e-mail to you regarding products and services. If you do not want to receive such offers and mailings, you can easily indicate that by checking the appropriate box on the submission form. Lasky Clinic may utilize a standard Internet technology called “cookies” to collect information about how the Lasky Clinic’s site is accessed and utilized. Cookies can allow a web site operator to determine that a user visited the site in the past and thus save and remember preferences that the user may have set while browsing the site. Cookies do not allow the Web site to retrieve any other data from your hard drive or obtain your e-mail address. Lasky Clinic may also make use of memory-based cookies in support of authenticating the user of certain web applications. While users maintain the ability to modify browser settings to either accept all cookies, notify you when a cookie is sent, or reject all cookies, it may not be possible to utilize certain services which require registration if the browser is set to reject cookies. This site contains links to other sites. While . Lasky Clinic strives to link only to sites that share our high standards and respect for privacy, Lasky Clinic is not responsible for the privacy practices employed by other sites. If you have questions or concerns regarding this statement, you should contact us Tel: (310) 277-4572.